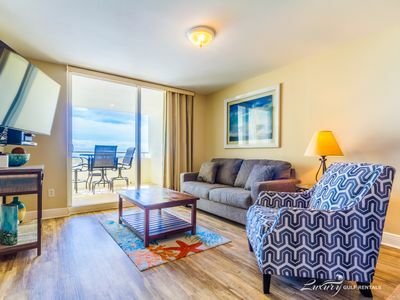 Come experience the vacation of a lifetime when you stay in this beautiful 2 bedroom, 2 bath Penthouse unit at SeaSpray East! 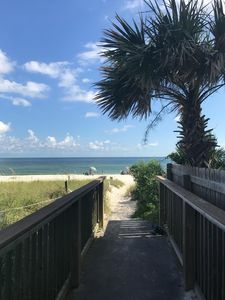 This luxury complex is situated upon an immaculate stretch of the Gulf Coast, where miles of sugar-white sands give way to shimmering emerald waters and endless horizons, creating an idyllic setting for an unforgettable vacation! 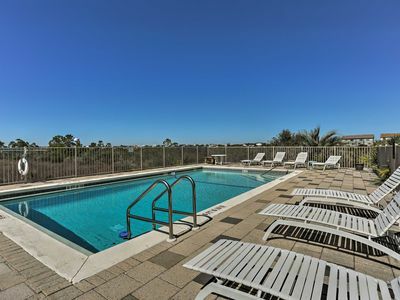 This beautiful complex offers the most luxurious amenities imaginable, including two beachfront outdoor pools and hot tub, a state-of-the-art fitness center, tennis courts, a marina and boat launch, and over 300 feet of private beach access! 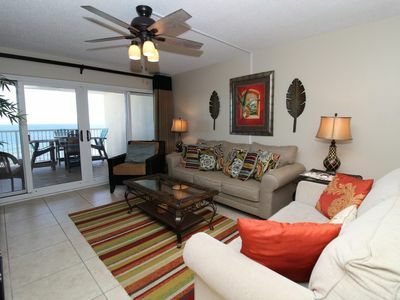 This unit provides open access to the all of the spacious entertaining spaces. 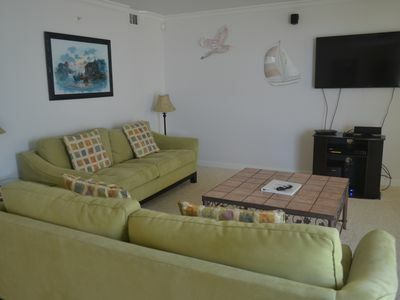 The living room features two comfy recliners and a plush sofa. 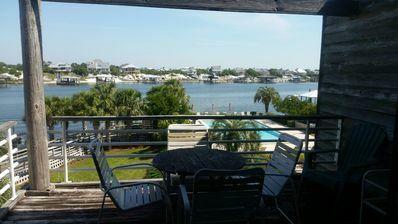 The beautiful dining area has seating for four around a beachy bamboo table and even a wet bar where you can mix up a fancy cocktail to enjoy on the balcony that looks out over the stunning gulf waters!The updated kitchen is immaculate. 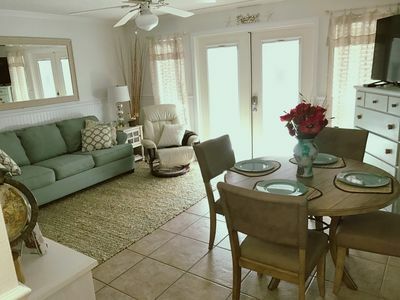 With seating for 4 at the large breakfast bar, ample prep space, stainless steel appliances and top of the line cookware, it is a chef’s dream! 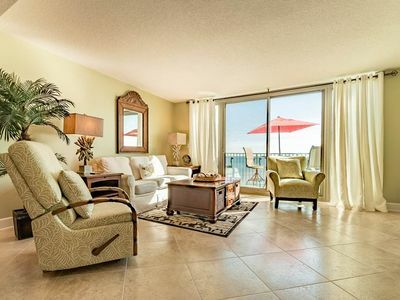 The master is the perfect restful retreat, with calming colors, a luxurious plush king bed and a small sitting area, that features views of the water and direct access to the terrace. 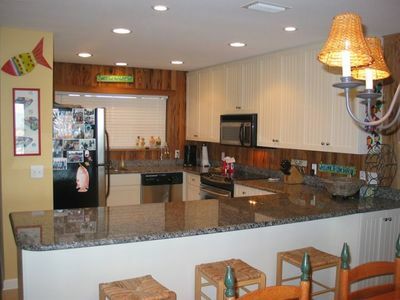 The enormous bathroom features a large marble vanity with sink, and a second separate bath with shower and sink. 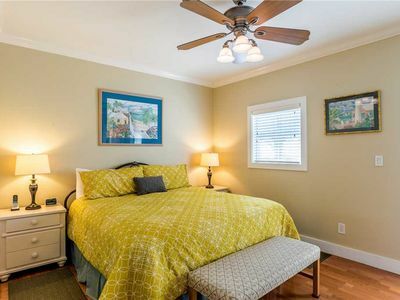 The second bedroom is filled with islandy touches, and a second bath. 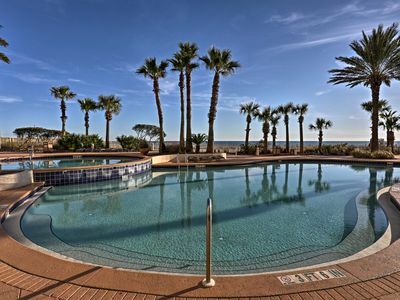 The terrace is truly one of a kind! 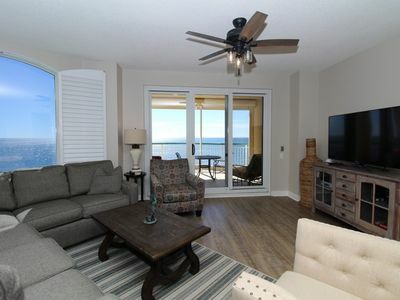 It has a custom wet bar installed with sink and storage, comfy lounge chairs and a dining set for four where you can enjoy your evening with a glass of wine overlooking the serene waters of the Gulf! 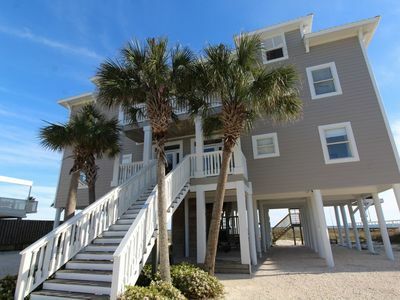 Stop dreaming about your perfect vacation and finally turn it into reality! 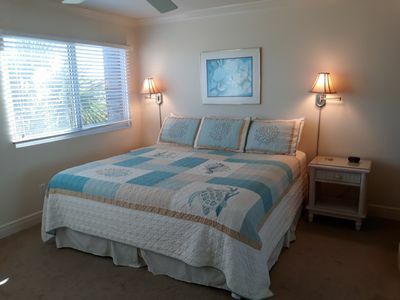 Book with us at SeaSpray today and experience your best vacation yet. 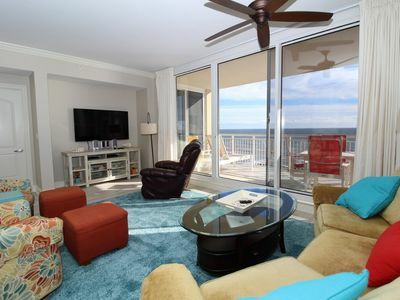 Indigo E1103 - Book your spring getaway! 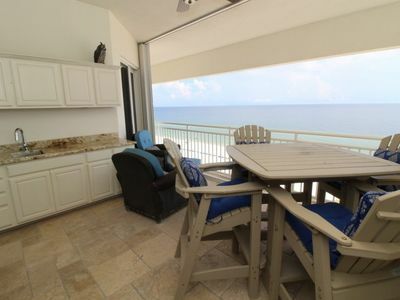 Perdido Towers East 404- Beach Front View from Terrace and Coastal Interior! 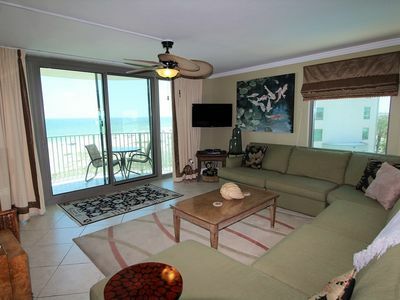 Sandy Key 523-Beach Front Views from Terrace with Coastal Interior! 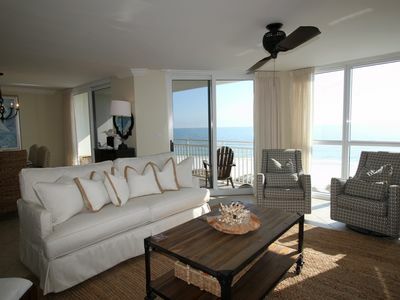 SeaSpray West 505- Beach Front Views from Terrace with Luxurious Interior! 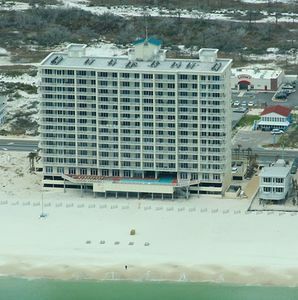 Perdido Towers E0702 - Ready, set, book for spring! 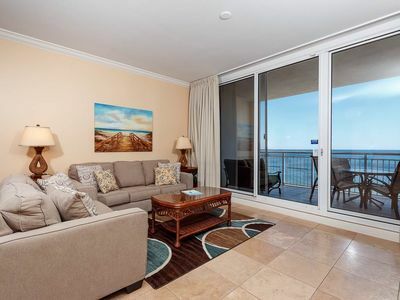 Beach Colony West 11B- Beach Front unit with large terrace & amazing views! 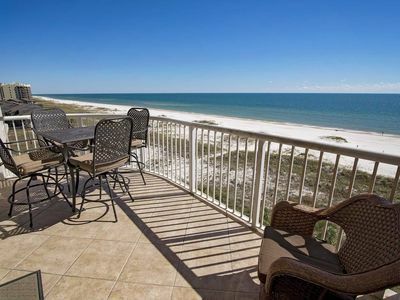 Beachfront Pensacola Condo w/ Resort Amenities!